The World Championship is the grand climax to a long, arduous season of League of Legends across the world. Foreign teams and metas clash for one last tournament as every team seeks to become the latest champion. Predictability has arguably damaged the hype of the event in recent years, but this year’s World Championship had a little of bit everything, from spunky underdogs taking on the best to the collapse of the World’s best. It proved to be the best World Championship that League of Legends has ever had. Earlier in the year, Riot announced its first changes to the World Championship format since it removed byes in 2013, bringing forth a new play-in stage where minor regions compete against major regions for a slot in the group stage. Recently, teams from minor regions have proved to be amiable adversaries, whether it was Albus Nox Luna at the 2016 World Championship or Gigabyte Marines at this year’s Mid-Season Invitational. That trend continued at this World Championship and showed that there is merit to the stage. 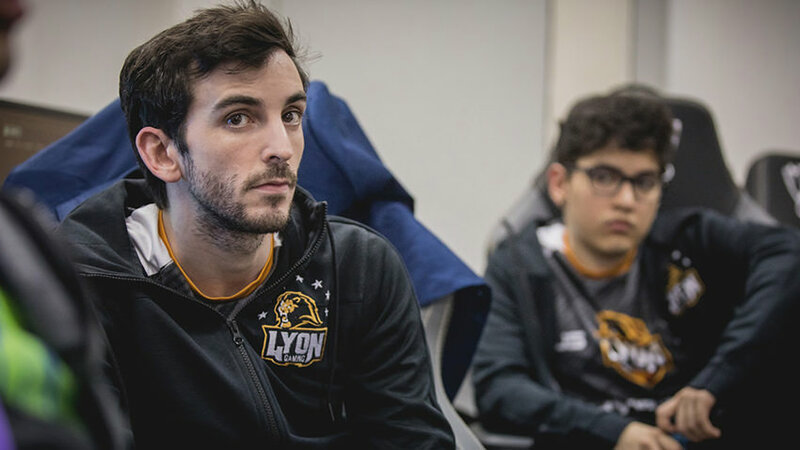 Major regions were favored as always, but thanks to the format change, we got to see Latin America’s Lyon Gaming hang in with a titan like China’s Team WE, thanks to the miraculous performances of its AD carry, WhiteLotus. In another matchup, 1907 Fenerbahce even outperformed the third seed from the LMS, Hong Kong Attitude, eventually making it to the group stage. Minor regions have risen recently, but are still on a generally lower level than major region teams; Only one minor region team managed to make it out of the play-ins (with that same team going without a win in the group stage). 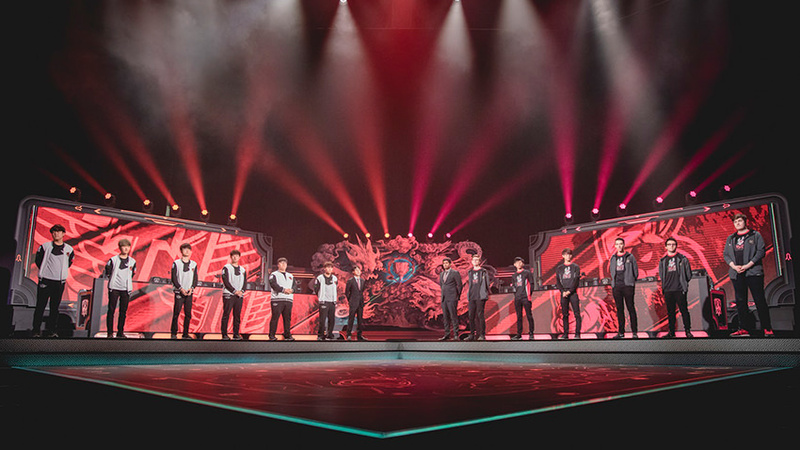 However, the play-in granted the opportunity to compete against major regions on the Worlds main stage, unlike the International Wildcard Invitational from past years, where it lacked production value and more stable competition. Stars from the smallest regions, like Lyon Gaming’s WhiteLotus, finally had a chance to shine on the biggest stage. In the end, minor region teams competed against the best and had their shot in the limelight. They still have a long way to go, but the format change was a success and will hopefully be continued in the future. Quarterfinals are seeded to reward group stage performance, pitting the top performers in each group against the runner-ups from other groups. In most years, that has resulted in generally one-sided quarterfinals with 3-0 or 3-1 results, but 2017 proved to be the year that trend ended. Two of the four series went to five games and one ended the tournament of Worlds favorite, Longzhu. In perhaps the most surprising set of the tournament, Longzhu Gaming was squashed 3-0 by Samsung Galaxy. In a set where no one expected anything, Samsung found a return to form from its disastrous group stage performance and bounced back to be one of the strongest teams at the tournament. The spunky Longzhu were favorites on both paper and in people’s hearts, but it’s arguably the first time in years the number one projected team actually left the tournament so early. In another series, the Korean titan SK Telecom T1 was tested in the quarterfinals for the first time by European squad, Misfits. Misfits took SKT to five games and are the first Western team to do so at Worlds. Even though it couldn’t seal the deal, Misfits returned to Europe as heroes while SKT looked bruised and battered for the first time in years. The king was weakening and the world began finding hope again. As much as the World Championship concludes a year of fantastic League of Legends around the globe, the victor often feels at least a bit predictable. This year, the champion came in as the region’s last seed (the first 3rd seed to ever win the World Championship) and battled not only other teams, but itself. Samsung Galaxy epitomized a true champion at the World Championship this year after falling short one game of felling SK Telecom T1 last year. Samsung qualified for the World Championship this year through the regional gauntlet and while down 2-0 at one point to the Afreeca Freecs, regained its form to reverse-sweep the series and win the regional qualifier. 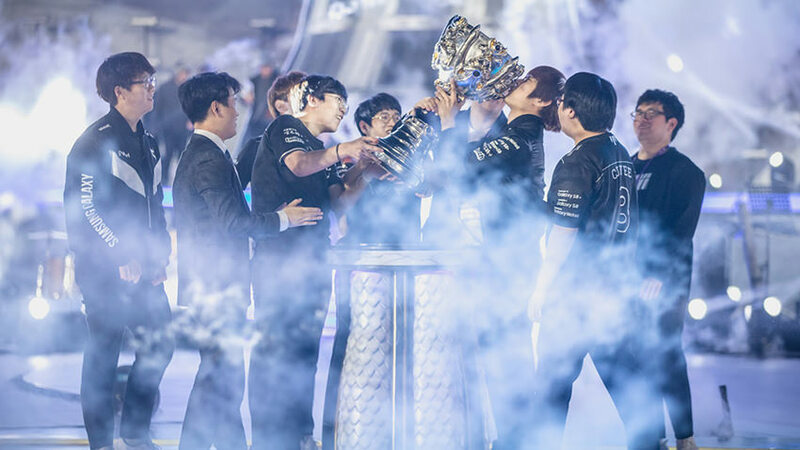 After having a generally tough Summer and rough gauntlet, Samsung was counted out as a title contender despite its runner-up status the previous year. At the start of the group stage, it seemed that thought would be validated. Samsung exited the group stages easily as the second seed, but lost twice to China’s Royal Never Give Up and were the first Korean team not to finish first in its group since KOO Tigers in 2015. Samsung’s public esteem also took a hit when the team nearly lost to the Frozen-led 1907 Fenerbahce, who had hardly challenged the other teams in the group. Samsung’s top laner CuVee was a stud, but Samsung simply wasn’t performing well as a whole. Despite that, Samsung came out in the bracket stage guns ablazing. SSG came up with the perfect plan to 3-0 Longzhu early on, shocking everyone, and didn’t slow down against China’s Team WE with a decisive 3-1 victory. All of a sudden, the team that came in from South Korea as its 3rd seed, was set for its rematch against the illustrious SK Telecom T1. All the hard work culminated at the Bird’s Nest where Samsung destroyed SKT 3-0 to secure its revenge against last year’s champions. Samsung secured the runback victory in 2017 and proved that when there is a will, there is always a way. Samsung isn’t more deserving than the previous World Champions, but it worked its way up to have that title, defying all expectations. Samsung gave the fans upsets, put SKT’s dominance to a halt, and provided one of the best champion storylines in years. The World Championship was the most competitive it has ever been, from the bottom straight to the top. Minor regions challenged major regions, Western hopefuls challenged Korean titans, and the black sheep Korean team became the champion. Everything truly felt possible no matter the circumstances, a feeling that fans and the games sorely needed, making it the best World Championship to date.